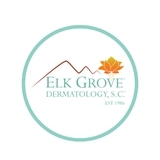 Elk Grove Dermatology, S.C. (Elk Grove Village) - Book Appointment Online! The key focus of our practice is an accurate diagnosis and prompt specific treatment. You should be gaining a good understanding of your condition. This is provided in an exceptionally friendly and relaxed environment. We have recently added a 3D teaching program to the site to help you visualize procedures that you might have. The staff will make every attempt to get you in and we strive to keep wait times as short as possible while Dr. Polisky makes every effort to stay on time.